Today, the business is led by Dan's sons, Laurence and Dan Jr., who actively participate in the promotion of the vineyard's wines in international markets and are also part of the board of directors for Odfjell Vineyards S.A. Founded on the Odfjell family's international exploration as Norwegian Armadors (ship owners) and their passion for wine, Odfjell Vineyards strives to produce unique quality wines in a sustainable way. 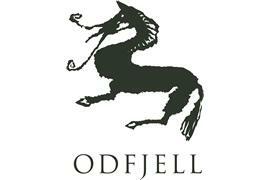 Odfjell Vineyards strives to use our pioneering spirit to capture the best of Chile in a bottle. We strongly believe in sustainability as a guiding principle and will continuously deliver memorable wines in a way that over time generates value for our shareholders, employees, and business partners. James Suckling 92"The attractive, full mulberry nose with a hint of mint leads into a wine that marries a certain sweetness with a fresh acidity. Well-judged tannins build nicely at the long finish. Drink or hold." ~J.S. James Suckling 92"Blackberry, chocolate and walnut character shows on the nose and palate. Medium to full body, velvety tannins and a savory finish. Drink or hold." ~J.S. James Suckling 92"Orange peel and black currant aromas follow through to a full body with chewy yet velvety tannins and a long, flavorful finish. Drink now or hold." ~J.S. James Suckling 91100% Organic"Blueberry, violet and licorice aromas. Mint too. Full body, silky tannins and a juicy finish. Lots of blue fruits. Mineral undertones. Drink now." ~J.S.